Abdelaziz Khlaifatis the Head of Petroleum Engineering Department at Abu Dhabi Polytechnic and AD Poly SPE Students Chapter Advisor. Prior to joining AD Poly, Abdelaziz worked as a Research and Development Manager of Dhahran Research Center at Weatherford International (Geoscience Development). Erstwhile, he worked as a Senior Reservoir Engineer, specialized in an unconventional resources (tight and shale gas) at Weatherford Saudi Arabia. Before joining Saudi Arabia office, he worked as a senior reservoir engineer (modeling and simulation) in the reservoir engineering group of the Weatherford Well Engineering Center of Excellence in Dubai.He obtained his BSc degree in Petroleum Engineering (1990) from Moscow Institute of Oil and Gas, Moscow-Russia, Master of Chemical Engineering and PhD in Chemical/Reservoir Engineering from Illinois Institute of Technology, Chicago-USA in 1994 and 1998, respectively. Before joining Weatherford, he had held different positions in the academia. 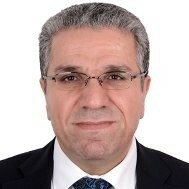 In 2009 he was promoted to a full professor of chemical engineering at Mutah University, Jordan.Abdelaziz is actively involved in scientific research and development of novel methodologies and techniques in tight and shale gas reservoirs, shale gas resource development workflow and tight gas staged field experiments. He has authored/coauthored over 80 publications, including journal articles, book chapters and specialized conference proceedings in the areas of flow through porous media, hydrocarbon reservoir engineering, unconventional tight and shale gas, managed pressure drilling, non-aqueous phase Liquid transport, photocatalysis, two phase flow modeling and simulation, and Dead Sea related-research. He is an active member of the SPE, AIChE, JGA, JES, JEA, AHWA and SFERA. Flow through porous media, hydrocarbon reservoir engineering, unconventional tight and shale gas, managed pressure drilling, non-aqueous phase Liquid transport, photocatalysis, two phase flow modeling and simulation.